Let’s make this very clear: When I say that maple syrup is my favourite natural sweetener, I mean REAL maple syrup, the kind that comes from a maple tree. NOT the fake stuff made of high fructose corn syrup, artificial flavours and colours that so many people drown their pancakes in. 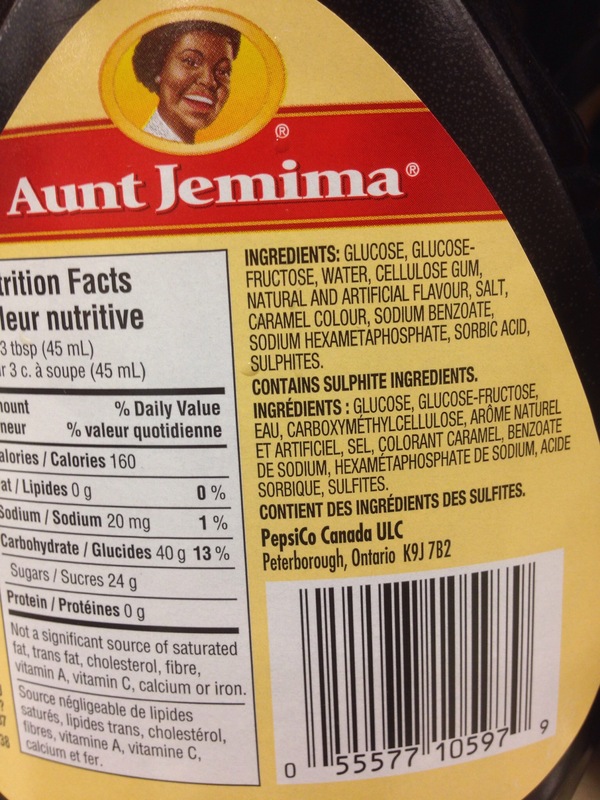 Sorry to burst your bubble, but Aunt Jemima duped us all. Don’t believe me? Read the label. Real maple syrup should have only one ingredient: maple syrup. 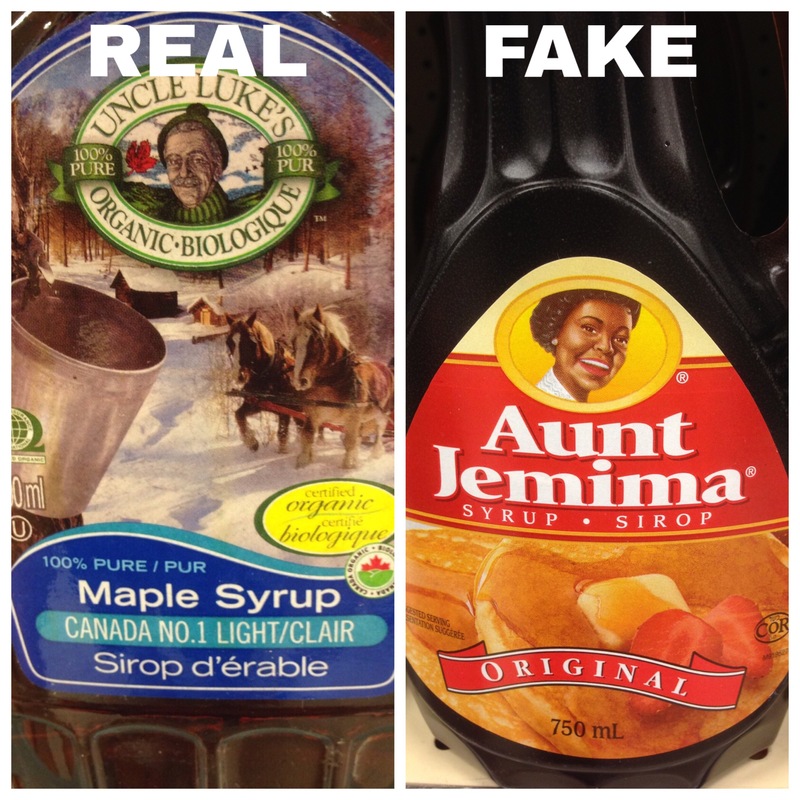 I stopped using fake syrup a few years ago when I realized there was no actual maple syrup in it. If you are still using the fake version, stop poisoning yourself and/or your kids and buy the real stuff. Yes, it’s definitely more expensive, but it’s worth it. Read the label when you shop to make sure that you’re getting pure maple syrup. There are plenty of brands that advertise “natural” or “no high fructose corn syrup” on the front yet the ingredient list on the back is still appalling. Why do I like maple syrup so much? Well, aside from the great flavour and aroma, real maple syrup contains a moderately high level of antioxidants and has potential cancer-fighting properties. It’s high in zinc and manganese and contains many other nutrients in addition to the numerous polyphenols that give it anti-inflammatory power. It has more minerals and less sugar than honey yet doesn’t lose its health benefits when heated the way that honey does, which makes it the better choice for baking and cooking. Also, maple syrup has a lower glycemic index than table sugar, so it won’t make your blood sugar spike the way regular sugar does. When choosing maple syrup, the darker the better. Syrup that is harvested from the trees later in the season has a darker colour, and also has higher levels of minerals (except for zinc) and antioxidants. A word of caution: although maple syrup is healthier than plain sugar, it still contains sugar so consume it in moderation. The fact that it has healthy components doesn’t mean you can drink it by the glass. Eating too much sugar is linked to a myriad of health problems so you should always limit the amount of sugar in your diet to as little as possible. But if you’re going to use sugar anyway, maple syrup is a much healthier substitute. These roasted root vegetables make a great side to almost any dish, as the flavor is mild but still delicious. 1. 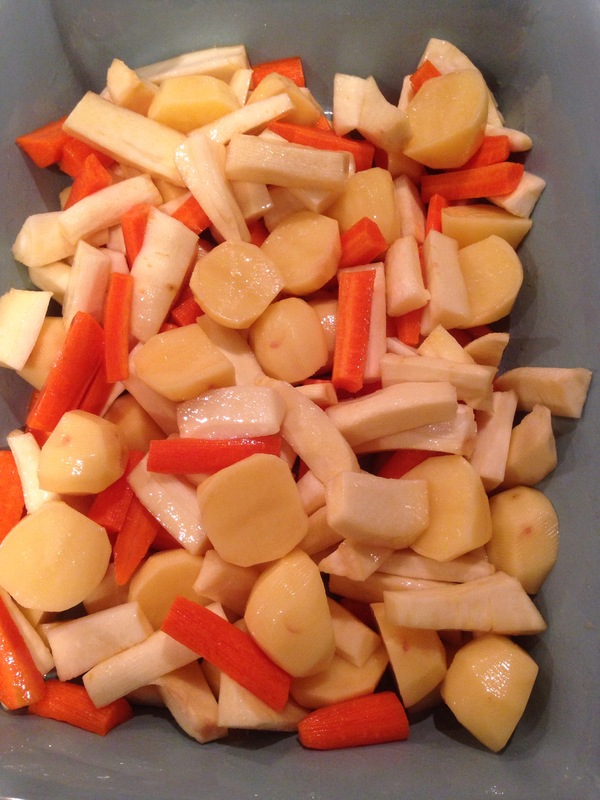 Preheat oven to 425*F. Peel and slice the carrots and parsnips into “sticks”. Peel (optional) and cut the potatoes in halves or quarters (depending on size). 2. Place all the vegetables in a casserole dish. Toss with the oil, maple syrup and salt until coated. 3. 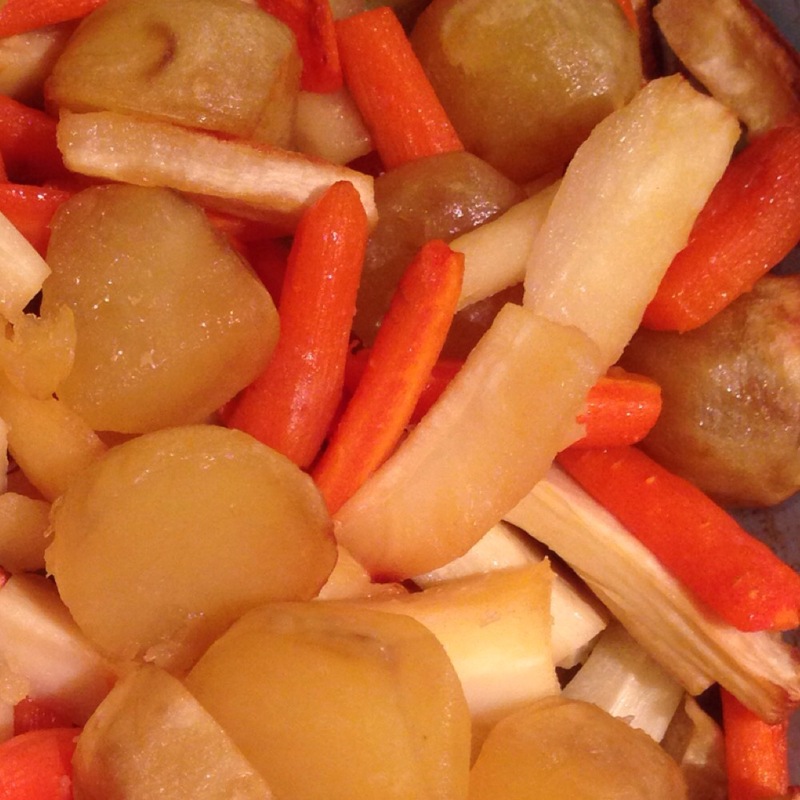 Bake for 55-65 mins, until a fork can easily be poked through all the vegetables. Enjoy! I’ve tried out a few different black bean brownie recipes but every single recipe that I’ve found online requires chocolate chips. I wanted to make black bean brownies without them because I can’t find any without added sugar and most contain soy lecithin as well. I would love to be able to eat brownies regularly without the guilt, so I decided to come up with my own recipe and completely eliminate sugar and chocolate chips. 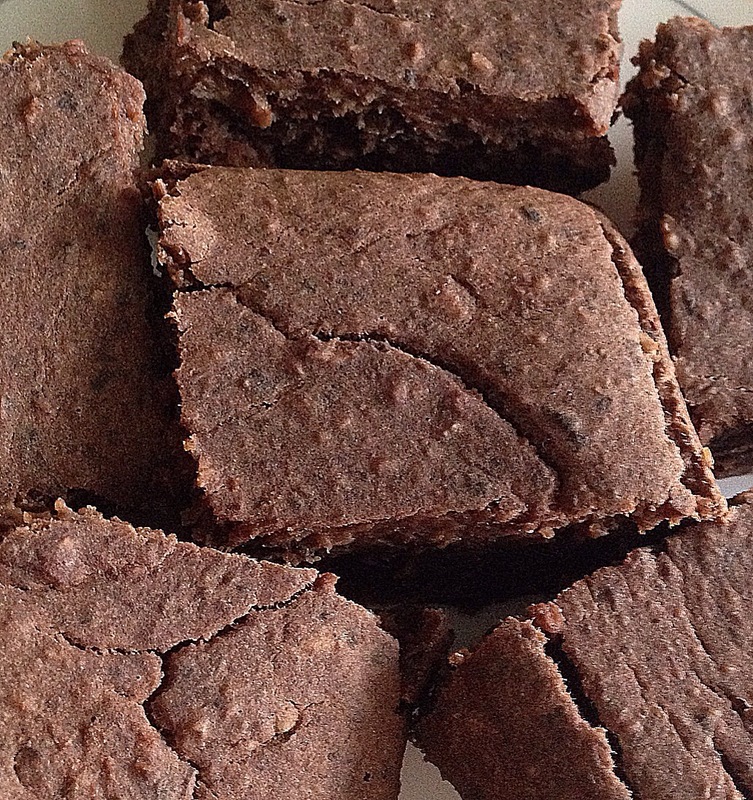 These are definitely not your typical brownie but they are healthy and delicious! They also make a great pre or post workout snack 💪. 3. Pour batter into a greased 8×8 pan. 4. Bake for 25-30 mins, then let cool in pan for 10 mins before cutting. No one will know these are made with black beans unless you tell them 😉.